Life of the Party has historically concentrated its efforts in the design, creation, and manufacture of molds to the chocolate and craft markets. Their molds are formed from a more environmentally- friendly and higher grade of plastic than other similar mold companies in order to best meets their mission of superior quality, value and responsibility and best meets the needs of customers. Use with LPC169A for the complete 3D tree. 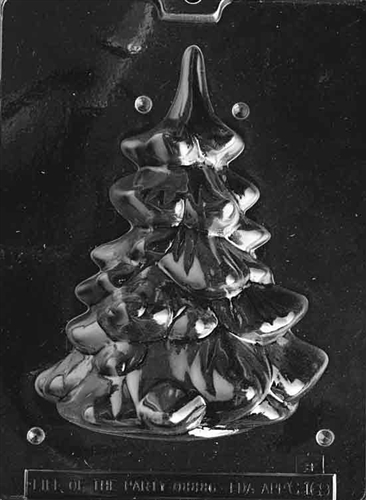 Create a lovely centerpiece with the 3D Medium Tree - Piece 2 of 2. Each piece is 7-1/2" X 5-5/8" X 2-1/2"